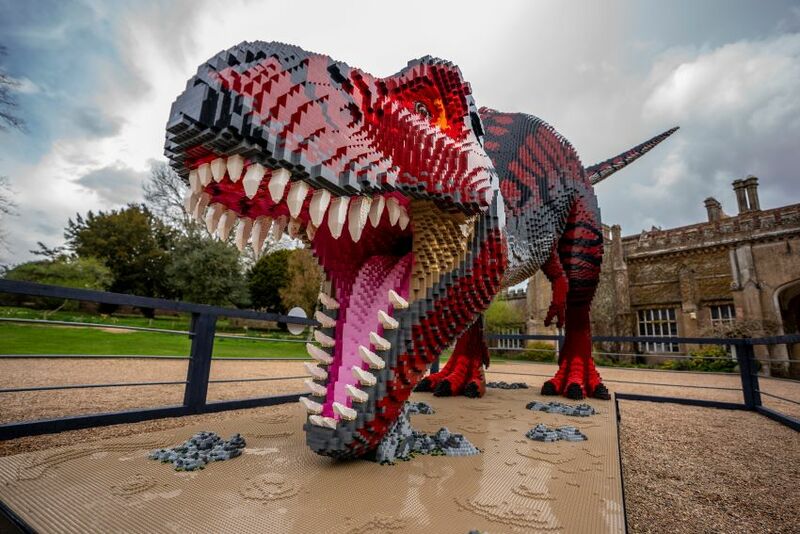 Marwell Zoo is delighted to announce that they will become the first EVER attraction in the world to welcome the BRICKOSAURS! – a magnificent collection of giant LEGOⓇ brick dinosaurs. You are invited to take a trip back in time this Easter and beyond to experience a truly jaw-dropping prehistoric day out. This phenomenal collection of LEGOⓇ dinosaurs are a real treat for LEGOⓇ and dinosaur enthusiast alike. In addition to the BRICKOSAURS!, there is a fantastic selection of activities to get involved in, as well as over 100 animals to visit across the zoo. With a wide selection of things to do and see this Easter, a trip to Marwell Zoo this half term is the perfect day out for the whole family. Prepare yourself to be truly amazed by this incredible collection of 36 BRICKOSAUR! 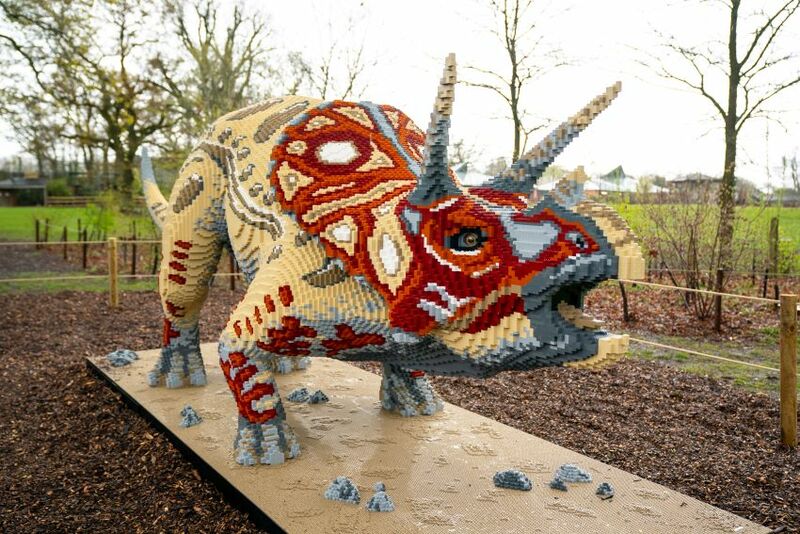 sculptures and 16 mighty bright and colourful dinosaur displays, made entirely from LEGOⓇ bricks. There are even more arriving for the summer holidays, taking the total count to a whopping 50 BRICKOSAURS!. A scale of touring sculptures of this size has never before been attempted, making it a genuine world-first and exclusive event! The Borden-based LEGOⓇ building company, Bright Bricks, are the group of professional builders behind this marvellous collection of sculptures. They have a long and trusted record of creating unique and inspiring creations and, in the past eight years, have grown to become the worlds’ premier independent toy brick building firm. This talented team create awe-inspiring sculptures that captivated and engaged with a variety of audiences. They are now ready to unveil their incredible work to the animals, keepers and visitors of Marwell Zoo. This impressive selection of exclusive dinosaur sculptures can be found across the zoo’s 140 acres from now until 1st September 2019. This must-see attraction is so large, that if all of the bricks used to make the BRICKOSAURS! were side by side in line, the bricks would reach from Marwell Zoo to Brighton! It has taken the team around 10,000 hours, over 969 days, of hard work, creativity and love for LEGOⓇ to piece together the 2 million LEGOⓇ bricks used to construct the breathtaking collection of 50 BRICKOSAURS! Back in 2017 Marwell hosted The Great Brick safari, comprised of 80 LEGO animal sculptures. The BRICKOSAURS! exhibition is set to be bigger and better, some calling it the must-see family day out of 2019. A trip to Marwell Zoo during the school holidays is sure to be jam-packed with things to do and see! In addition to the BRICKOSAURS! and a host of dino-activities, there really is so much to see, do and explore at the zoo in upcoming months, you simply have to make a visit. In addition to the BRICKOSAURS!, a visit to the Tropical House is a must. Experience face to face encounters with a variety of wonderful tropical species including exotic plants, two-toed sloths and pygmy marmosets. Be sure to take a stroll through the ‘Lemur Loop’, where you can enjoy sharing the landscaped habitat with three beautiful varieties of lemur. Don’t forget to look out for the daily animal feed and talk times, displayed on your entrance the park. As the weather gets warmer and the trees begin to bloom, it’s the perfect time to explore the zoo’s gardens, grounds and tree trail. Why not hop onto the Road or Rail trains and take in the parks glorious scenery. Delve into a day of discovery on the BRICKOSAUR! Interactive Exhibition. Pick up a free printed trail map on your arrival, or download the Marwell Zoo App. Start discovering by following the trail to track down your favourite dinosaurs who’ll be located around different areas of the zoos 140 acres. The collection includes Velociraptors, an Archaeoceratops and a colourful Parasaurolophus who’s colour scheme was inspired by the designer’s favourite ‘Twister’ ice cream. It provides the perfect opportunity to explore these marvellous sculptures whilst on route to meeting the zoo’s animals. Be sure to keep your eyes peeled for the 8-meter long Tyrannosaurus rex, who not only weighs 2500kg, (the same as the zoos white Rhino Kiri) but is also the largest touring LEGOⓇ brick model ever made! This enormous BRICKOSAUR! has a mouth full of teeth that took a whole day to construct and place! Before you leave, why not have a go at guessing how many bricks the Tyrannosaurus rex is made from? All you need to do is complete and tear off the perforated slip at the bottom of your trail map, hand into the gift shop and you’ll be in with the chance to win a family tour to the incredible Bright Bricks studio. In addition to the BRICKOSAURS! trail and a fun day of exploring all of the wonderful animals that the park has to offer, there are lots of dinosaur activities to get stuck into. Be sure to keep your eyes peeled for ‘Colin’ and his many Compsognathus companions during your visit. These cheeky dinosaurs will be getting up to lots of mischief! Don’t forget BRICKOSAURS! Base Camp where you will find an abundance of LEGOⓇ bricks in the brick pits. Get hands-on in constructing your own BRICKOSAUR! creation! Take the opportunity to have your picture taken with a giant Megalosaurus head, look out for Spike the Stegosaurus mascot and visit the BRICKOSHOP. Over the Easter weekend, from Friday through to Monday, the zoo will be giving out plain chocolate eggs served by the T-Rex from 11 am – 3 pm. (Please be aware that this is first come first serve). Be sure to put Marwell Zoo onto your Easter half term agenda for a fantastic day out that the whole family will enjoy! Tickets can be purchased online or at the zoo – under 2’s go free. Don’t forget that there is no extra charge to meet the BRICKOSAURS!. Visit these spectacular sculptures free with standard admission charges. Are your little ones big fans of the zoo? Maybe it’s time to purchase an annual membership? 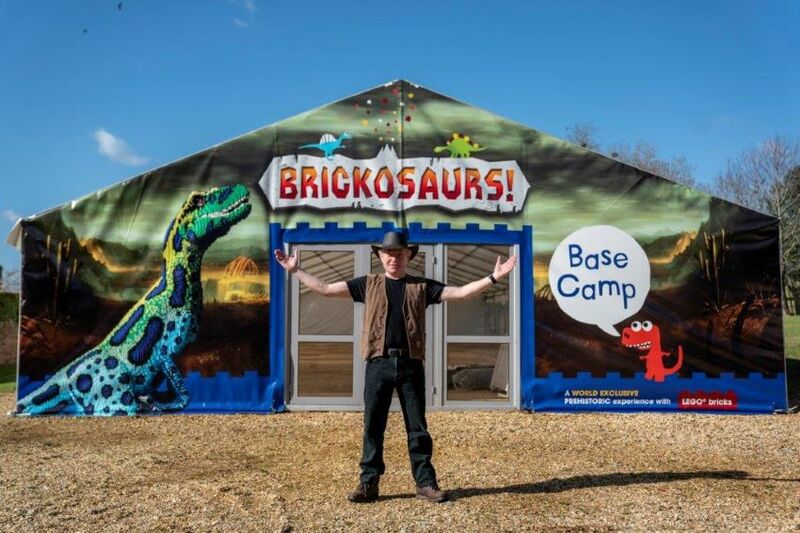 For just £62.00 per adult and £42.00 for 3 – 16-year-olds you can visit the BRICKOSAURS! as many times as you like during their stay! Plus, join in on Wild Explorer Club events as well as early zoo entry on selected dates!